Slack, Facebook, Skypeなどのチャット＆メッセージサービスを一元的に管理できるアプリ「Franz」がリリース。 | AAPL Ch. Read the story of Franz and how I got from idea to 10k daily active users within 26 days. 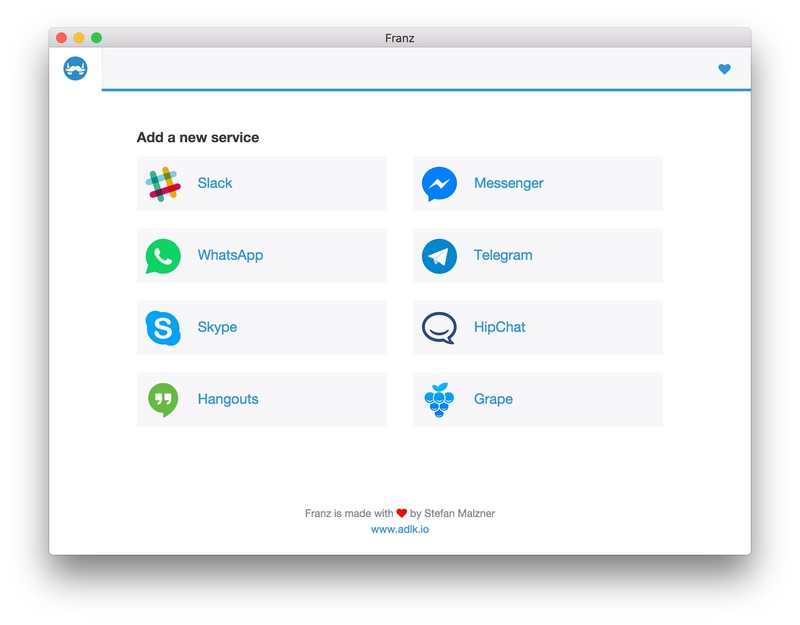 Franz is a free messaging app that combines chat & messaging services into one application. WhatsApp, Slack, HipChat, Facebook Messenger, Telegram, Google Hangouts, Skype and Grape are currently supported with more to follow soon.